I recently discovered and started following this blog about Aspergers/High-Functioning Autism: http://www.myaspergerschild.com. I've been finding it a source for great information and I highly recommend it for anyone parenting or teaching a child on the high end of the spectrum. Single women worldwide long to find a Darcy or Knightley of their very own. Why else are there so many movie and TV versions as well as literary spin-offs and retellings of these classic stories? Besides, how often do we see knights in shining armor in the world today? Very little. That’s why we cannot help but cheer when Edward tells Elinor he still cares for her in Sense and Sensibility, when Emma realizes that Mr. Knightley feels the same love for her that she feels for him, and Lizzy and Mr. Darcy overcome their pride and prejudice to love one another. Jane Austen gives us hope that our own story will achieve the happily ever after that’s meant for us. Austen does what she always does: Everything works out for the right couples in the end. Hooray for happy endings. When I was in graduate school studying theology, I took a course on the Trinity. It featured a very large scholarly book and lots of Greek words. I found it fascinating, but understood relatively little. There is a reason why the Trinity is considered a mystery. 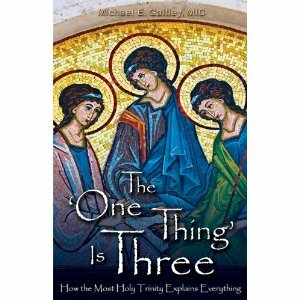 In “The ‘One Thing’ is Three: How the Most Holy Trinity Explains Everything,” Fr. Michael Gaitley makes a valiant attempt to simplify the mystery. “[This book is] meant to bring the Trinity home to our hearts [and] make difficult theology easy to understand.” The core of the mystery of the Trinity is the concept of communion – living in communion with God and others. The book is divided into three sections, or points: Communion with the Trinity (our final end), Transforming Communion with Christ (our immediate end), and The Mission of Communion (Our Mission.) If you are already feeling overwhelmed, there is no need to worry. Gaitley takes each point step by step and does his utmost to explain them in a simple and conversational, yet theologically sound, style. “Transforming Communion with Christ” discusses the incarnation, the great sacrifice of Christ and the gift of His passion. Gaitley also explains the Mass as “the source and summit of the Christian life,” in which we offer “our praise, our sufferings, our worries, and our whole selves.” He focuses on the sacraments of Baptism and Eucharist and emphasizes that sacraments do something – they cause an actual change in those that receive them. Point Three, “The Mission of Communion” invites us to “share in the mission of Jesus Christ.” Gaitley describes the roles of priest, prophet and king as they apply to those in the hierarchy, laity, and consecrated life. He offers a special emphasis on the role of the laity – “to make God visible in the world.” The highlight of this section is an interview with the Culture of Death which is guaranteed to make one think about the world we live in and our role in it. Gaitley also offers two appendixes. One offers an introduction to Divine Mercy. The other provides a list of recommended readings. “The ‘One Thing’ is Three” explains the Trinity in a way most people will be able to understand. Gaitley has made a concerted attempt to simplify some very difficult concepts, but it still could not be considered easy reading. One will not want to rush through this book, but rather spend some quality time with each section and allow the words and concepts to sink in. This book would be great in a group study or as a text in a college religion class. One day, I saw two roads. One was broad, covered with sand and flowers, full of joy, music and all sorts of pleasures. People walked along it, dancing and enjoying themselves. They reached the end without realizing it. And at the end of the road there was a horrible precipice; that is, the abyss of hell. The souls fell blindly into it; as they walked, so they fell. And their number was so great it was impossible to count them. With a family of seven, I will not be moving into a tiny home anytime soon, but I admit, I admire the downsizing movement from both a minimalist and aesthetic perspective. It is truly amazing how some people creatively live in small spaces (for this book, defined as less than 500 square feet). Tiny Homes, Simple Shelter by Lloyd Kahn offers a look at small shelters of all shapes and sizes. The story/description for each shelter is written by the owner or builder of the dwelling, adding a personal touch to the descriptions. The photos are the hallmark of the book. Each shelter is beautifully photographed to highlight the special features of the space. Whether you live in a small home or a large home, if you are interested in simplifying and creative use of space, then this is a book well-worth spending some time with. 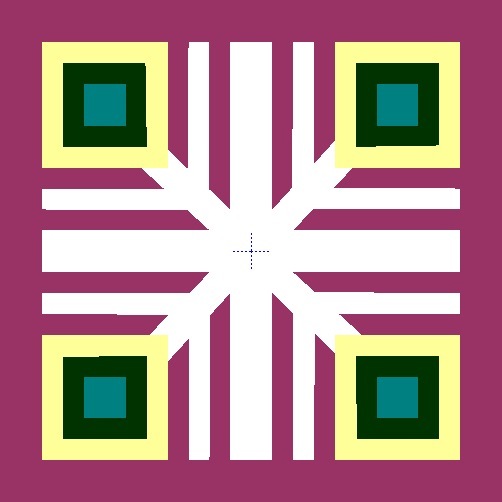 It's been a while since I posted one of these, but I'm back at work quilting. Overall, I have been very happy with our homeschool journey these past five years. In addition, because my children were in school at one point, I don’t suffer as much from the “what if” syndrome as much as some others who have not walked that road. I know that path was not better for us. None of this is to say that I don’t have my moments of panic, especially now that my children are in middle school. One of the main concerns I’ve always had in homeschooling my children is that they have friends. I don’t feel they need to spend six hours a day with people their own age, but they do need friends. We all do. One of the reasons I ended up sending my children to school in the first place was that my efforts to connect with the local homeschooling group were unsuccessful. God has His timing perfect, though, and two years later when He sent me a very direct message that I should be homeschooling, those doors opened wide and I met a fabulous group of women and children with whom to share our homeschool life. My children have been blessed with great friends and so have I. But, now that my children are getting older, their friendships seem destined for change. One of their best friends will most likely be attending middle school in the fall. Another might be, but if not now, will definitely be going to high school in two years. The future of a third remains uncertain. I realize that this is the age where friendships do normally change. However, when one is in traditional school, going to a new school for middle or high school means finding a whole new pool of potential friends. In this case, the friends are leaving with none to take their place. This is what worries me. Recently, a bright shiny packet from a local charter middle/high school came in the mail. I had to admit as I looked it over that it was appealing. Maybe this would be a better way – a necessary way. I had my children look over the information and suggested that maybe we should go to an open house. They thought that would be great. I put it on the calendar and then I lived with and prayed about that decision for a few days. I literally felt ill. While I have always entertained the possibility of sending the boys to high school if they wanted to go, the thought of sending them now – to middle school - made me very uneasy. I am convinced that homeschooling is a better way for us and for my children’s needs – not only educationally, but socially as well. A couple days later, the boys were having a school vs. homeschool conversation with another of their friends, a young lady who goes to traditional school. She was extolling the virtues of public school. My younger son came in and asked me, “Mom, what do you think is better – regular school or homeschooling?” I suggested we make a list. Because I wanted them to own this decision, I asked them to come up with what they felt were the plusses of each educational choice. For homeschooling, they said that the ability to chew gum was important (this acts as a stress reliever for them – it has truly been such a help), they like being able to choose what to eat for lunch, fewer hours of school, breaks between subjects, the ability to go places in the middle of the school day, some choice over what to study, fewer tests, not having to leave the house early in the morning, fewer after-school assignments, and no bullies. For school, they thought that they would have more friends, no little brothers or sisters around (homeschooling with a toddler can be a challenge!) and more chance to join clubs or groups. In the final analysis, they decided that homeschooling won beyond a shadow of a doubt. I felt very much at peace with that decision and so did they. We will no doubt revisit it in a few years. My older son, who has Aspergers, has little desire to go to traditional school, but my younger son has said he’d like to do one year of high school “just to see what it is like.” For now, our homeschooling journey continues and I’m going to trust that God will somehow provide the friends that they need. I desire that priests proclaim this great mercy of Mine towards souls of sinners. Let the sinner not be afraid to approach Me. The flames of mercy are burning Me - clamoring to be spent; I want to pour them out upon these souls. Jesus complained to me in these words. Distrust on the part of souls is tearing at My insides. The distrust of a chosen soul causes Me even greater pain; despite My inexhaustible love for them they do not trust Me. Even My death is not enough for them. Woe to the soul that abuses these [gifts]. CatholicMom.com and Ave Maria Press are partnering on this Lenten project to provide spiritual support to expecting mothers. 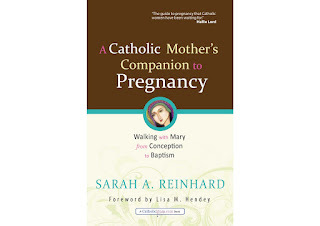 They hope to send 50 copies of A Catholic Mother's Companion to Pregnancy—a week-by-week spiritual companion for pregnant women—to 20 pregnancy centers around the United States. Your donations will be used solely to help achieve this goal. Benedict XVI dedicated the catechesis of today's (February 13th) General Audience to the season of Lent, which begins today, Ash Wednesday. "Forty days," he said, "that prepare us for the celebration of Easter. It is a time of particular commitment in our spiritual journey. … Forty days was also the period that Jesus spent in the desert before beginning his public life, when he was tempted by the devil." Reflecting on Jesus' temptations in the desert, is "an invitation to each of us to respond to a fundamental question: What is truly important in our lives? … The core of the three temptations that Jesus faced is the proposal to instrumentalize God, to use Him for personal interests, for self-glory and success. In essence, it is putting oneself in God's place, eliminating Him from our existence and making Him seem superfluous. … Giving God the first place is a path that each Christian has to undertake. 'Conversion' … means following Jesus, so that His Gospel becomes the practical guide of our lives. … It means recognizing that we are creatures who depend on God, on His love ...This requires us to make our decisions in light of the Word of God. Today it is no longer possible to be a Christian as a simple consequence of living in a society that has Christian roots. Even those who come from a Christian family … must renew daily their decision to be Christian, to give God the first place in the face of the temptations continuously suggested by a secularized culture, in the face of the criticism of many of their contemporaries." "The tests that Christians are subjected to by society today are numerous and affect our personal and social life. It is not easy to be faithful to Christian marriage, to practice mercy in our everyday lives, or to leave space for prayer and inner silence. It is not easy to publicly oppose the decisions that many consider to be obvious, such as abortion in the case of an unwanted pregnancy, euthanasia in the case of serious illness, or the selection of embryos to avoid hereditary diseases. The temptation to set one's faith aside is always present and conversion becomes a response to God that must be confirmed at various times throughout our lives." The Holy Father recalled that in history there have been "great conversions such as St. Paul's on the road to Damascus or St. Augustine's. But also in our age, when the sense of the sacred is eclipsed, God's grace acts and works wonders in the lives of many people … as was the case for the Orthodox Russian scientist Pavel Florensky who, after a completely agnostic education … found himself exclaiming, 'It's impossible without God.' He completely changed his life, even becoming a monk." The Pope also cited the case of the intellectual Etty Hillesum (1914-1943), "a young Dutch woman of Jewish origin, who died in Auschwitz. Initially far from God, she discovered Him by looking deep within herself, writing: 'There is a well deep within me. And God is that well.' … In her scattered and restless life, she rediscovered God in the midst of the great tragedy of the twentieth century, the Shoah." "In our age, there are more than a few conversions that are seen as the return of those who, after a Christian education, perhaps a superficial one, have turned away from the faith for years, then later rediscover Christ and His Gospel. … In this time of Lent, in the Year of Faith, we renew our commitment to the path of conversion, overcoming the tendency to be wrapped up in ourselves and to make room for God, seeing our everyday reality with His eyes. Conversion means not being wrapped up in ourselves in the search for success, prestige, or social position, but rather of making each day, in the small things, truth, faith in God, and love, become what is most important," the Pope concluded. I mentioned a while back that I have responsibility for the library at my parish. I've been trying to spend about an hour a week going through the books, weeding out those that are on theologically shaky ground or are no longer relevant, and making sure all the others have been appropriately labeled and shelved. When I was there last week, I came across Diary of St. Maria Faustina Kowalska: Divine Mercy in My Soul . I've been wanting to reread this. It has been a few years since I last spent some quality time with it and I know what a life-changing book it is. What better time to do that than Lent? St. Maria Faustina Kowalska was a simple, uneducated Polish nun when Jesus chose her to be "the secretary of My Mercy." In her diary, she recorded the words Jesus spoke to her as well as her own spiritual trials and observations. She was canonized by Pope John Paul II in the year 2000. I started reading the Diary a couple days ago. My plan is to share a quote from the book for each day of Lent and the Easter Octave until the feast of Divine Mercy Sunday. If you haven't already, I encourage each of you to read the full book. It is a modern-day spiritual classic. Vatican City, 11 February 2013 (VIS) – The Holy Father, at the end of today's consistory for causes for canonization, announced his resignation from ministry as Bishop of Rome to the College of Cardinals. "I have convoked you to this Consistory, not only for the three canonizations, but also to communicate to you a decision of great importance for the life of the Church. After having repeatedly examined my conscience before God, I have come to the certainty that my strengths, due to an advanced age, are no longer suited to an adequate exercise of the Petrine ministry. I am well aware that this ministry, due to its essential spiritual nature, must be carried out not only with words and deeds, but no less with prayer and suffering. However, in today’s world, subject to so many rapid changes and shaken by questions of deep relevance for the life of faith, in order to govern the barque of Saint Peter and proclaim the Gospel, both strength of mind and body are necessary, strength which in the last few months, has deteriorated in me to the extent that I have had to recognize my incapacity to adequately fulfil the ministry entrusted to me. For this reason, and well aware of the seriousness of this act, with full freedom I declare that I renounce the ministry of Bishop of Rome, Successor of Saint Peter, entrusted to me by the Cardinals on 19 April 2005, in such a way, that as from 28 February 2013, at 20:00 hours, the See of Rome, the See of Saint Peter, will be vacant and a Conclave to elect the new Supreme Pontiff will have to be convoked by those whose competence it is." Every woman living today has the woman who came before us to thank. We have opportunities women who lived a hundred years ago could only dream of. I’m so appreciative that I have the right to vote, had the blessing to be educated and attend college and graduate school, and have the ability to be both a mother and have a career. Yes, we have many women to thank who blazed the trail for us. The Women’s Fund does a lot of good work. They fund organizations that help empower and educate women. I have great personal respect for their Chief Executive Officer, Dr. Carla Oleska, with whom I was fortunate to work with for several years. I will not personally contribute to them because they also support Planned Parenthood (the education aspect), but I do appreciate the difference that they have made in many women’s lives. In the case of this award, they were on the right track. They are honoring many remarkable women. Among them are Elaine Barkin, who worked in social services and supported unwed mothers in raising their children or finding them adoptive homes; Claire Cox, who worked in journalism at a time when women in that field were few and far between; Gail Kielson, who has spent her life working to reduce domestic violence; Ruth B. Stewart Loving, who has worked for civil rights for African-Americans and earned a college degree at age 73; and Marlene Werenski, who became a police officer in 1971 and worked for twenty-five years in the very-male dominated field of law enforcement. There are many other women in this list of awardees worthy of honor. Unfortunately, they also included a woman for her work in reproductive rights. Susan Lowestein Kitchell founded the Abortion Rights Fund of Western Massachusetts and “came to play a leading role nationally in the abortion rights movement.” I am not this woman’s judge and jury. I know that women who worked to make abortion legal often had seen friends die from back-alley abortions. In an era in which ultrasounds weren’t common and much less was known about fetal development, it was easy to pretend that a fetus was just a mass of cells. They thought that they were doing a good thing to save women’s lives. I was doing some cleaning a few days ago and came across this article that I meant to blog about, but never did, and seeing as today (February 7th, 1867) is Laura Ingalls Wilder's birthday, it seemed like a perfect day to do it! 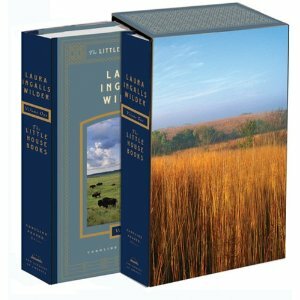 The Library of America recently issued a new edition of the famous Little House books: The Little House Books: The Library of America Collection . Most of us grew up with the charming versions illustrated by Garth Williams. Those versions are lovely, perfect for read-alouds and sharing with children. I read my own copies multiple times growing up and shared them with my own boys before they were too old to say "those books are for girls!" This new edition is more for adults (and there are many adult fans of these books!). Coming in two volumes, edited by Caroline Fraser, all nine Little House books are included. The print is small and there are copious footnotes. This is basically a study edition of the famous works. What Does it Mean to Put Faith First?